There are dates that mark our life. The day we got married, the day our child was born, the first day of preschool. Then there are sad days: a miscarriage, sickness, or a death of a loved one. For me, it was this summer. My husband, our four kiddos and I were leading a missions trip to northern Minnesota. When I got the text message, “Please call me.” My heart sank. I knew deep down in my soul that something was terribly wrong. God provided excellent cell service in a place that normal doesn’t even get a bar. I remember going numb as I listened. “Jamie, (silence) Kristy is in the hospital (tears) and it’s not good. Not good at all. They are throwing out a lot of possibilities and she’s in surgery, (Long pause) in her brain.” Kristy is my 37 year old sister, healthy as can be. A loving mother to 3 beautiful girls, a wonderful wife, someone whom we called our home missionary. She served in her church, she lead bible studies, volunteered at the school and was always the first to sign up for anything. Less than an hour later I got another phone call. “I’m sorry. I’m so sorry that I have to make this call. They found leukemia.” Kristy went to heaven that day on July 9th, 2017. The next hour, day and week were the longest I’ve ever had. It felt like time stood still. As, we waited for new leaders to arrive to lead the mission trip, the 18 hour drive to Michigan for the funeral, the revolving door of people visiting. The two weeks Edgar went to Mexico for another missions trip. Our drive back home. My grief does not take away from what God did in and through my sister. Not even from what God will continue to do through the memory of her. My grief does not deteriorate my relationship with God, actually it strengthens it. We all grieve. It could be from the loss of a job, a loss of a friendship or of a failed marriage. We lose the freedom of singleness but gain marriage. We lose the honeymoon phase of our marriage but gain an understanding of how deep real love is with the birth of each child. The grievance is of a loss of future. No one grief is worst than the next. Just some are more catastrophic like all at once and others are more gradual. Each experience of loss is unique, painful in its own ways and no one else will experience my pain because it’s mine. I wrestle with my soul to believe that God is good. You see, loss calls the existence of God into question. Your mind ponders all that God has done, all that is written, all that you know. It relieves the moments of sorrow and of joy. That is when you realize how great of a God we have who has created us with the freedom to choose Him or choose not to believe in Him. I don’t know if I can ever comprehend all of who God is but I sure do want to try to discover it all. Just like my relationship with my husband, always learning new things. It’s not always easy. Someone once told me that grief will happen and that you can’t run away from it. The darkness will come in forms of clouds that just linger over you but you get to decide how long they stay. It is best to run east into the sunset so darkness can come. Instead of running west away from the darkness. It will eventually engulf you and you’ll be stuck. You see, when you decide to face it head on, you will see the light quicker then running away from it. God has given me life. I want to live that life to its full potential. 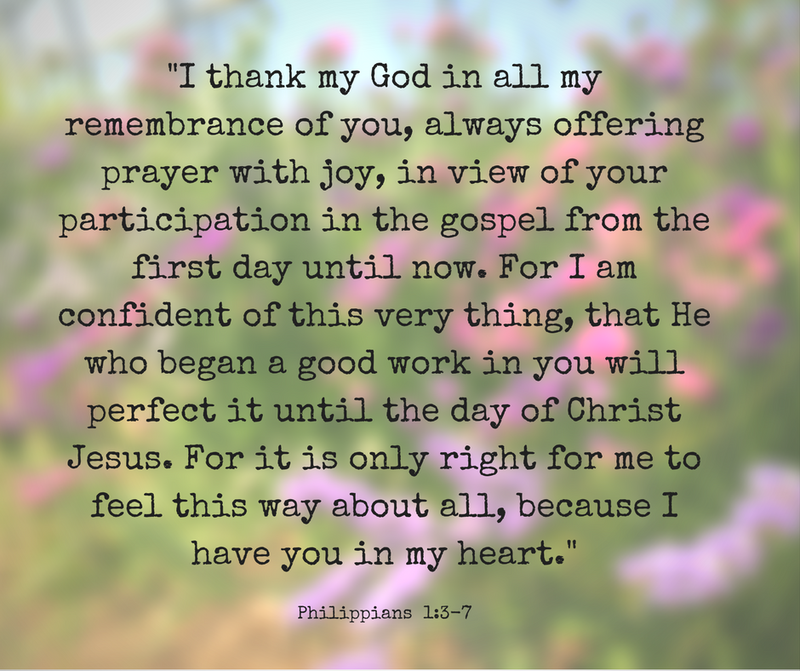 I want people to remember me for our time together, our laughter, our conversation, our time we cried out to God. I want my kids to remember the times we spent reading together or playing or cooking together. I want them to remember me as a person who genuinely loved others. Not as someone who withdrew from reality but loved each waking moment in love. I chose to live a life of love. You see I get to choice. I am free to make that choice to be present, to decide what is love. The Bible tells us that God is love. Real love can never be forced and our freedom is what allows us to make that decision to have a relationship with Him. I choice to believe Him. My love for God is not based on conditions or feeling but on a rooted assurance that He loves me. That He is here no matter what happens. Life is not just the past, the present or the future. It’s for all of eternity. To God be the glory. Thank you Jamie for sharing your heart and your faith!